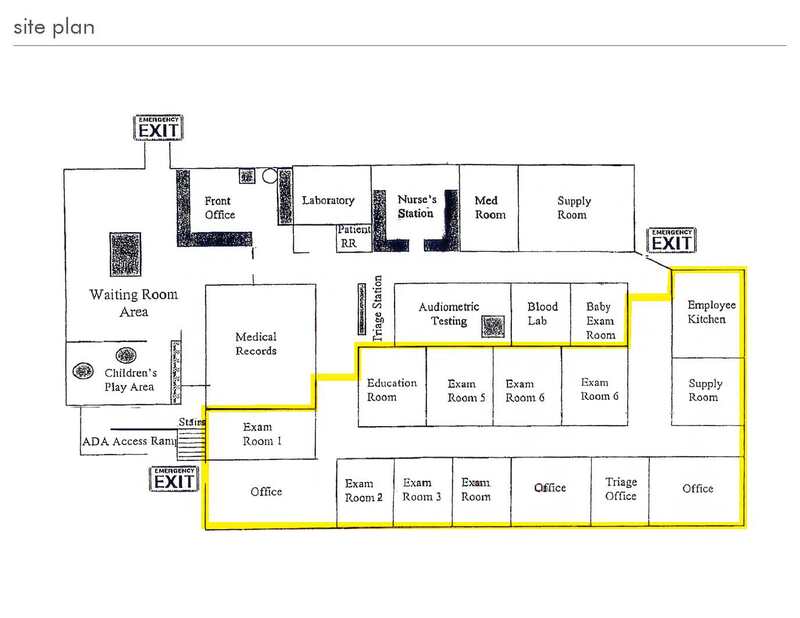 7 Exam rooms, 3 laboratories, triage station, nurse’s station, 4 offices, records storage, 2 supply rooms, Education Room, Kitchen, Large Waiting Area and Children Play Room. ADA accessible. Large Signage.